Go Nuts Donuts, also known as the “Manny Pacquiao of the Donut World”, has been thriving in the highly competitive donut industry in the country since 2003. 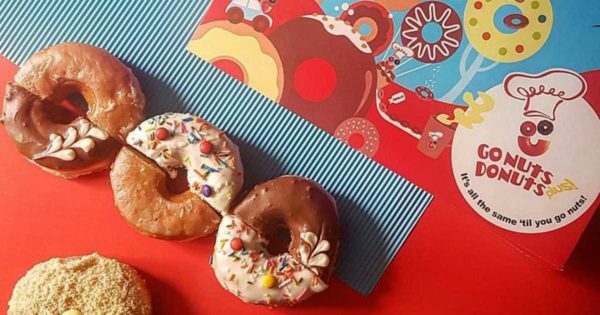 The well-loved local brand was born after siblings Michael O. Trillana and Christina T. Lagdameo were declined the franchise of Krispy Kreme, a successful donut brand from the U.S. This failure prompted the siblings to put up their own company and come up with donuts that suit the Filipino taste. It actually took them about two and a half years of research and development. Compared to other donuts, Go Nuts Donuts has less sweet but 25% bigger donuts to cater to the Pinoy taste. If you wish to franchise Go Nuts Donuts, here are some things you need to know. Submit a Letter of Intent indicating the type of franchise package you wish to avail as well as your proposed location. Send a location map of your proposed location that indicates nearby streets, landmarks as well as competitors within the area. Submit your detailed resume and filled up Franchise Evaluation Form. After completing all requirements, you will undergo interview. The franchise team will then conduct a site inspection. Following approval, you will be required to sign a Franchise Agreement. Contact numbers: (02) 7574440 local 118 for the franchising department and local 227 for the marketing department.